This afternoon we welcomed a new member to our Wild Side Pack – Dexter the Jack Russell. He instantly fitted in with the rest of the dogs, particularly Lily. I don’t know if it was because they are a similar size, but Dexter and Lily had a BLAST today, playing tig on the moor at full pelt! 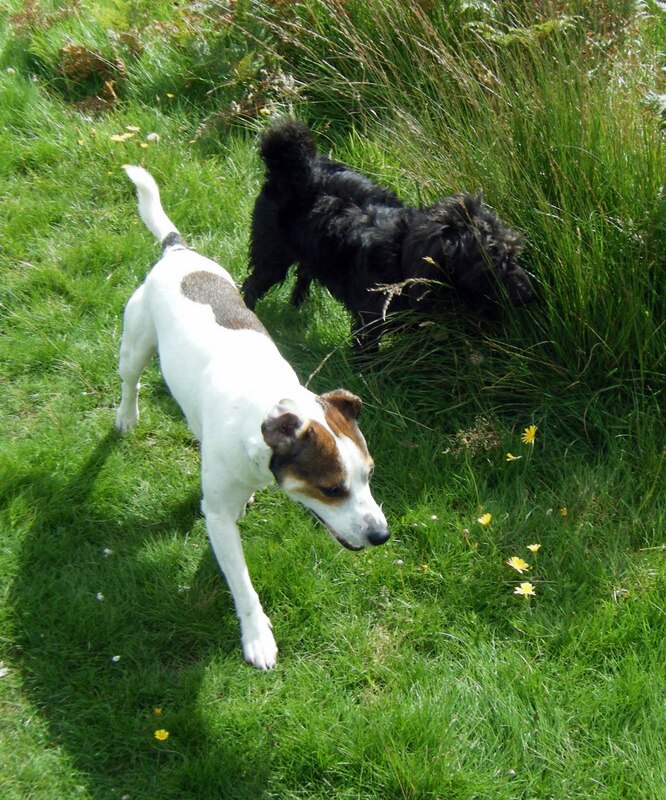 I let him off lead within 5 minutes as I could tell he was just eager to get playing with the rest of the dogs, and the first time I called him he came straight back – Perfect!! A lovely friendly dog, from caring home – my favourite kind! Welcome Dexter, I know we are going to get on just great!